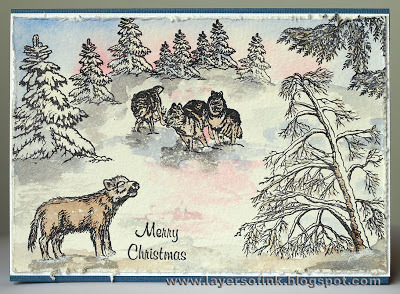 Craft a Scene: Winter Scene and Exciting News! I know everyone is winding down and getting ready for Christmas but there is still time to get in your "Winter Scene". You can skip to Mr. Linky here. We have some exciting news to share also! Maggie our wonderful DT member from SilverCrafter was featured by our sponsor this month - Robin's Fetish. Robin loved Maggie's creation so much that she has a special write-up here. Check it out to see how Maggie made her exceptional card. We have more wonderful creations from our design team for your inspiration this week. Have a go at the Winter Scene and don't forget to check out our sponsor Robyn's Fetish images. You will be glad you did! I have been loving your samples, ladies! You are doing a great job showing us how to use our images in a new and exciting way. I am very excited about learning how to do this, myself. Maggie did a terrific job! 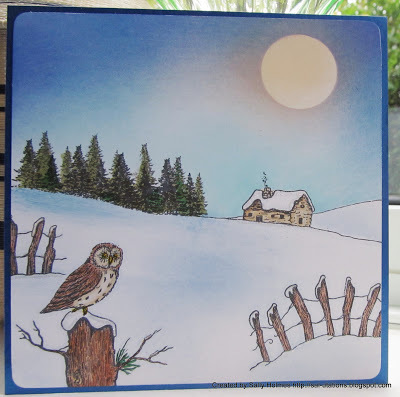 Beautiful cards everyone, something magical about snow and each of your cards show it.